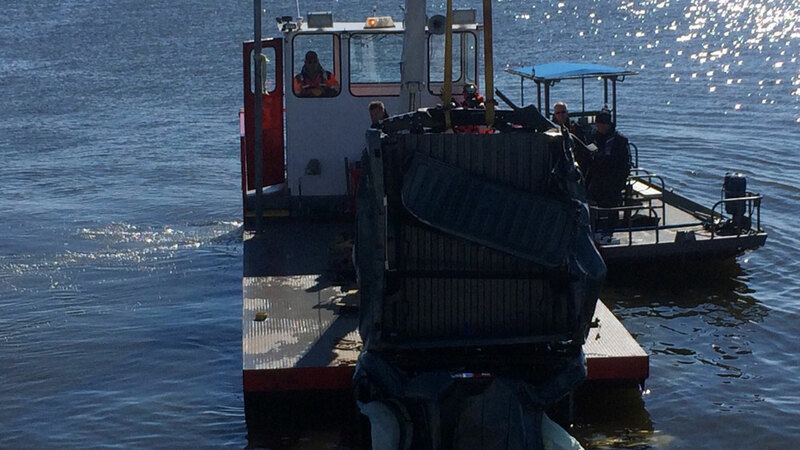 Searchers have located the wreckage of a truck in Lake Conroe. CONROE, TX (KTRK) -- Authorities have located a body in Lake Conroe during the search for a missing driver. According to Captain Rusty Fincher with Montgomery County Precinct 1, the human remains were found near the area where a truck crashed through the guard rail and went into the water early Sunday. The body has not yet been positively identified, but officials believe it is likely the missing driver, Justin Oeltjen, 24. Oeltjen's truck crashed through the guard rail around 4am Sunday at FM 1097 near Blueberry Road. A passerby saw the hole in the guardrail and Oeltjen's family became worried when he didn't come home. He was seen at a restaurant Saturday night. On Sunday dive crews recovered the truck and a piece of clothing that could be his. According to investigators, there are no witnesses who saw the accident.